This page lists various associations the parish of Paisley has with the Covenanters. 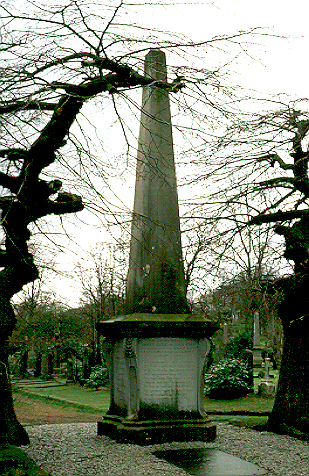 Monument and gravestone to James Algie and John Park, executed at the Cross of Paisley in 1685. Paisley is a large town in the centre of Renfrewshire. It has an ancient abbey.